Arizona lawmakers are out to make a college education more affordable for National Guard members and veterans. Bills this legislative session include HB 2091, authored by Rep. Sonny Borrelli, R-Lake Havasu, a retired Marine, to bring Arizona in line with a pending federal law requiring that public colleges provide in-state tuition for veterans and eligible dependents. Meanwhile, Rep. Mark Cardenas, D-Phoenix, who served in the Army and National Guard, is pushing HB 2240 for tuition waivers for National Guard members. Representatives of a veterans group say those two measures would benefit current and former service members. “Obviously in-state tuition will certainly make it much easier financially for more of our men and women who served our country faithfully to afford entrance into institutions of higher education, to give them the opportunity to meet their goals,” said Don Taylor, chairman of the organization’s legislative committee. Nearly 22 million Americans are veterans, and 2.3 million of them served in the post-9/11 era. With more than 500,000 veterans as of 2010, Arizona has the 13th-largest veteran population in the nation, according to the U.S. Census Bureau. 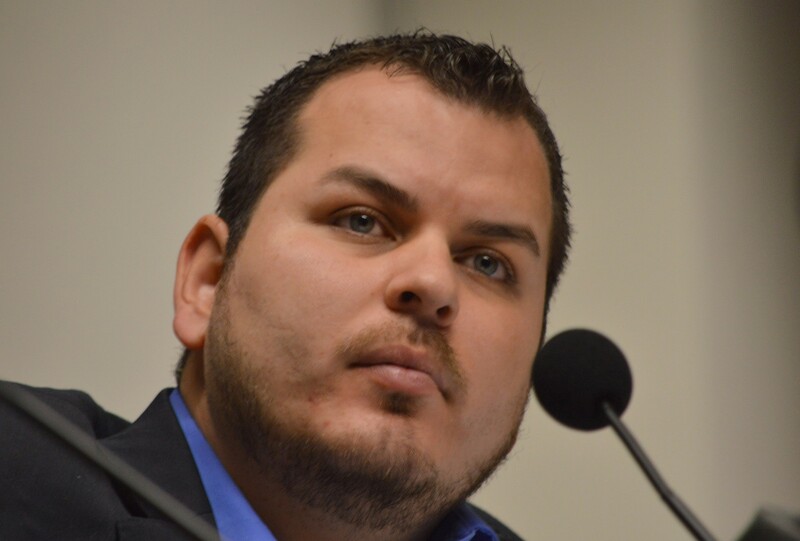 Cardenas’ bill received a unanimous endorsement Feb. 5 from the House Military Affairs and Public Safety Committee but was amended so the tuition waiver would apply only when a National Guard member enrolls in a course that has open seats after registration closes. Arizona once offered Guard members tuition reimbursement through the National Guard Postsecondary Education Reimbursement Program, but Cardenas noted that funding was suspended as fiscal 2011. “This is one of the tools we would like to use for retention, to increase the numbers of our National Guard because I think they do a good job,” said he said. It wouldn’t apply if a Guard member is eligible for education benefits under the Post-9/11 GI Bill of Rights, which applies to those called to active duty for more than 90 days. Cardenas’ bill faced an uncertain future, however, as it was withdrawn Monday from the House Appropriations Committee’s agenda. Borrelli’s HB 2091 would bring Arizona in line with the Veterans Access, Choice and Accountability Act of 2014 and includes an emergency clause so it would be in place when the federal law takes effect July 1. Violations of the act would cause schools to become ineligible to receive federal G.I. Bill education payments. Borrelli’s bill would apply to veterans who are within three years of an honorable discharge and who demonstrate objective evidence of intent to live in Arizona. Benefits received under the Post 9/11 G.I. Bill vary by time served. The percentage of in-state tuition paid by the government ranges from 40 percent at three to six months of active service to 100 percent at 36 months or more of active service. The House approved the Borrelli’s unanimously after it won unanimous endorsements from the Military Affairs and Public Safety and Government and Higher Education committees. It was awaiting action in the Senate. Borrelli didn’t respond to requests for comment sent by phone and email. On Thursday, the House Military and Public Safety Committee was to consider a bill by Rep. Bob Thorpe, R-Flagstaff, to require the Arizona Board of Regents to create a program offering tuition grants to veterans seeking a first bachelor’s degree. The money would be transferred from the state’s Military Family Relief Fund, established by the Legislature in 2007 to benefit relatives of deployed service members. The Arizona Department of Veterans’ Services administers the fund, which gets proceeds from donations and grants. Thorpe’s bill would apply to veterans no longer eligible for education benefits under the Post 9/11 GI Bill of Rights. 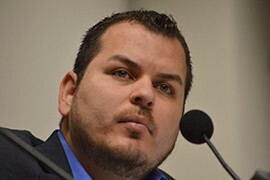 Rep. Mark Cardenas, D-Phoenix, listens to a speaker during a meeting of the House Military Affairs and Public Safety Committee.